This is a fun little preview of Genndy Tartakovsky's upcoming "Popeye" animated feature. 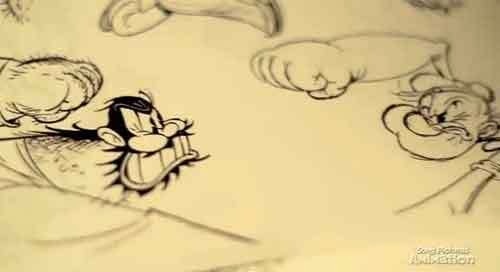 The brief "Popeye" clip that is included is clever because it incorporates modern CGI, traditional animation techniques and the classic Popeye trademarks that have been there from the beginning. And of course Olive Oyl is a key figure, Popeye is nothing without his Olive Oyl. 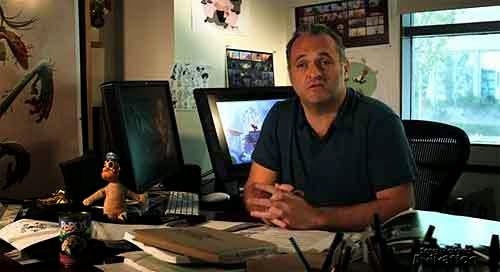 There is a brief introduction from Tartakovsky ("Hotel Transylvania") that is pretty cool even if you have no idea who on earth he is. Get a look at Sony Pictures Animation's all-new POPEYE CG feature with a special animation test and introduction from Director Genndy Tartakovsky! Sony has not said when the film will hit theaters. 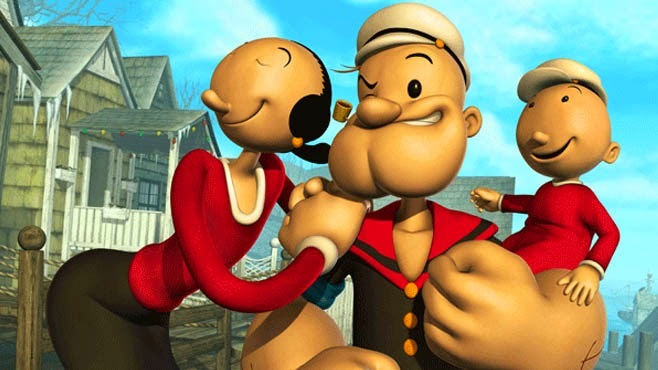 The last word on that was that the studio updated its release schedule to show Popeye had slipped from being a 2014 release to a 2015 release. That happens a lot in the animation business, it may mean any number of things from Sony simply having another film it wants to put in the optimal month/day time slot for Popeye (whatever that is) or that the animation process is simply taking a little longer than expected. Sometimes, it means trouble behind the scenes, but even saying that kind of hints at something, but that is not the intention. Nobody knows when the film will come out, let's just leave it at that.